According to a September 2012 report issued by the National Fire Protection Association, “Home Fires Involving Clothes Dryers and Washington Machines” 4.5% of all reported home structure fires originated with the washer or clothes dryer. With proper care, installation, and cleaning/maintenance, these fires are almost entirely preventable. Proper Clothes Dryer Care – Clean the lint trap in your clothes dryer after each and every load of laundry. Not only will this help prevent lint build up in your clothes dyer and clothes dryer vent, but it will also save you money. Your clothes will dry faster and you’ll see less wear and tear on your machine. Proper Clothes Dryer Vent Installation – Make sure the vent is connected to your clothes dryer. While not a regular occurrence, your clothes dryer vent can come loose or disconnect from your dryer. Be sure to inspect it occasionally to make sure it’s connected. Not only will it help prevent fires, but you may even see less dust in your home. Consult your clothes dryer manual to see that you have no more than the recommended number of elbows or bends in your clothes dryer vent. 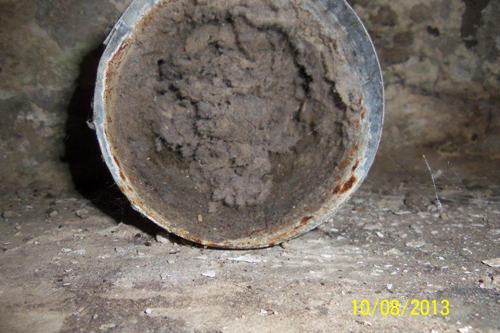 Too many elbows can lead to lint build up all through your vent. Proper Clothes Dryer Cleaning and Maintenance – Have your clothes dryer vents cleaned by a professional. There is no set interval in which you should have your clothes dryer vents cleaned. Several factors will determine how often they should be cleaned: How many loads of laundry you dry each week, where your dryer is installed in your home, and even the climate in your area of the country can affect the frequency in which you should clean your clothes dryer vents. Consult a professional to help determine when they should be cleaned. At Healthy Living Duct Cleaning we will be happy to answer any questions you have about clothes dryer duct cleaning. Call us today 262.236.6750. Want to learn more? Here’s a great article from the International Association of Certified Home Inspectors on Dryer Vent Safety.